Chairman of the Grenada Tourism Authority, Richard Strachan, has confirmed that a decision was taken by the Board of Directors to have Christine Noel-Horsford reposted to the New York where she will be the Sales Director for Grenada. “This is her area — she has lots of experience in that area, and we believe that her contribution in that market will only work in the best interest of Grenada,” said Strachan, who explained that the Authority will soon employ the services of a public relations company, and the main objective will be for Horsford and the firm to work together to promote Grenada as a destination of choice in the Caribbean. “She will meet directly with travel agents, tour operators and basically network with those in the travel business to promote and sell Grenada, so we can continue to increase our arrivals,” he added. Horsford formerly worked with the Grenada Board of Tourism and served in New York and London as marketing representative. 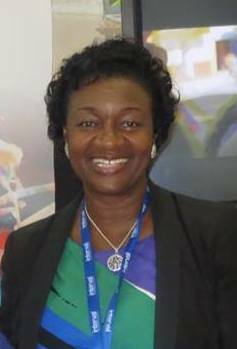 She was the last person to be appointed as Head of Marketing for GBT, and was among persons on the management transitional team, when legislation was approved to convert the GBT into the GTA as of 1 January 2014. Grenada has not had a North American marketing and sales representatives for many years, and Horsford’s appointment came into effect as of mid-January 2015. The USA accounted for 27% of all arrivals, and brought in a total of 35,313 visitors for 2014. Esther Thomas, Research and Planning Manager at the GTA, said that Americans’ main purpose for visiting the island are for vacation, visiting friends and relatives, business and other personal reasons. “It is noteworthy that the United States of America is the largest supplier of honeymoon visitors, students and Grenadian residing aboard,” she said, during a news conference on Wednesday where she provided an update on the market share. According to data from the Caribbean Tourism Organisation, Grenada is among the top five destinations in the Caribbean which registered double-digit growth for 2014 in terms of visitor arrivals. The top five performing destinations in tourist arrivals growth were: Turks and Caicos Islands (40.6%), Grenada (18.4%), Montserrat (13.5%), Cayman Islands (10.8%), and Haiti (10.8%), all registering double-digit increases.